Jade recently completed a mixed criminal and civil pupillage under the supervision of Mr Richard Canning and Mr Robert Skyner. 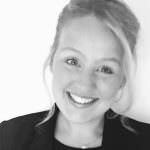 Jade grew up in Leeds where she completed an accelerated law degree in two years before undertaking her BPTC at BPP. During her time at BPP, Jade was actively involved in the pro bono unit, managing both the Streetlaw programme and the Legal Advice Clinic as Student Director. Prior to starting pupillage, Jade worked as a County Court Advocate where she represented clients in civil hearings including infant approvals, mortgage related matters and other general civil applications. Jade enjoys skiing, having learnt at the age of three. Having performed in musicals and pantomimes for most of her life, Jade has now hung up her dancing shoes and instead prefers to take a seat in the audience and enjoy the show. She also enjoys all things craft related and can regularly be found in the kitchen baking a cake (or two)!